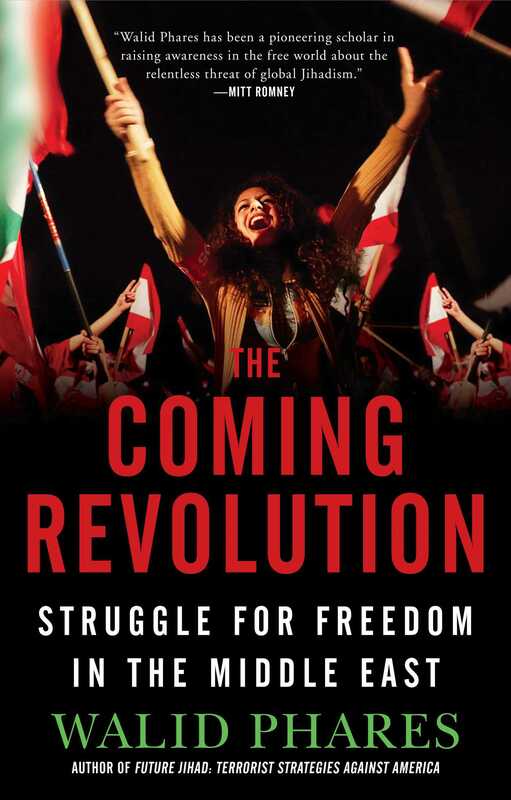 Now available in paperback, a riveting discussion about the continual struggles of the Middle East to reach freedom and democracy. After the 9/11 Commission concluded in 2004 that the U.S. was engaged in a war with terrorists and never realized it, they reasoned that, in effect, Americans were simply unable to fathom that there were people who hated and opposed our democracy with such ferocity. But after billions of dollars and almost a decade fighting a war in the Middle East, will we miss the threat again? With penetrating insight and candor, Walid Phares, Fox News terrorism and Middle East expert and a specialist in global strategies, argues that a fierce race for control of the Middle East is on, and the world’s future may depend on the outcome. As terror strikes widen from Manhattan to Mumbai and battlefields rage from Afghanistan to Iraq, many tough questions are left unanswered: Where are the anti-Jihadists and the democrats in the Muslim world? Does the Middle East really reject democracy? Do the peoples of the region prefer the Taliban, the Muslim Brotherhood, or Hezbollah over liberals and seculars? Professor Walid Phares is a Senior Fellow and the director for Future Terrorism Project at the Foundation for the Defense of Democracies in Washington (2001-2009). He is also a Visiting Fellow with the European Foundation for Democracies in Brussels (2006-2009). He is Fox News Terrorism and Middle East Expert since 2007 and has been MSNBC-NBC Terrorism Analyst from 2003 to the end of 2006. Professor Phares has been an advisor to the US House of Representatives Caucus on Counter Terrorism since 2007 and to the Trans Atlantic Legislative Group on Counter Terrorism since 2008. He teaches Global Strategies at the National Defense University in Washington DC since 2006 and he has been a Professor of Middle East Studies, Ethnic and Religious Conflict at the Department of Political Science at Florida Atlantic University (FAU) from 1993 to 2006. Professor Phares has also been a senior lecturer on the War on Terror and Global Conflicts at the LLS Program of FAU and the IRP Program at the University of Miami. Previously he taught at Florida International University and at Saint Joseph University in Beirut. Professor Phares lectures on US campuses, nationwide, and internationally including in London, Stockholm, Brussels, Strasbourg, Mexico, Geneva, Paris, Lisbon, Sao Paolo, Montreal, Rome, Berlin, Madrid, Nicosia and Beirut. He testifies to and conducts briefings at the US Congress, the European Parliament and Commission, and the UN Security Council, as well as to US State Department and other foreign ministries worldwide and to officials on Counter Terrorism in Europe and the United States. Dr Phares also lectures to and advise the US Departments of Justice, Defense, and Homeland Security on academic research on Terrorism. He has served as an expert on Terrorism with the US and European Governments since 2003. Dr Phares serves as an academic advisor to several Human Rights and minority groups. Since 1979, Dr Phares has published ten books on Middle East Conflicts and International Terrorism. Born and raised in Lebanon, Dr Walid Phares was educated at St Joseph and the Lebanese Universities of Beirut where he obtained degrees in Law and Political Science as well as a certificate in Sociology. He obtained a Masters in International Law from the Universite de Lyons in France and a Ph.D. in International Relations and Strategic Studies from the University of Miami.